Aruba is the smallest, driest and windiest of the three Leeward Islands of the Dutch Caribbean. Despite this, it has a surprisingly varied landscape. 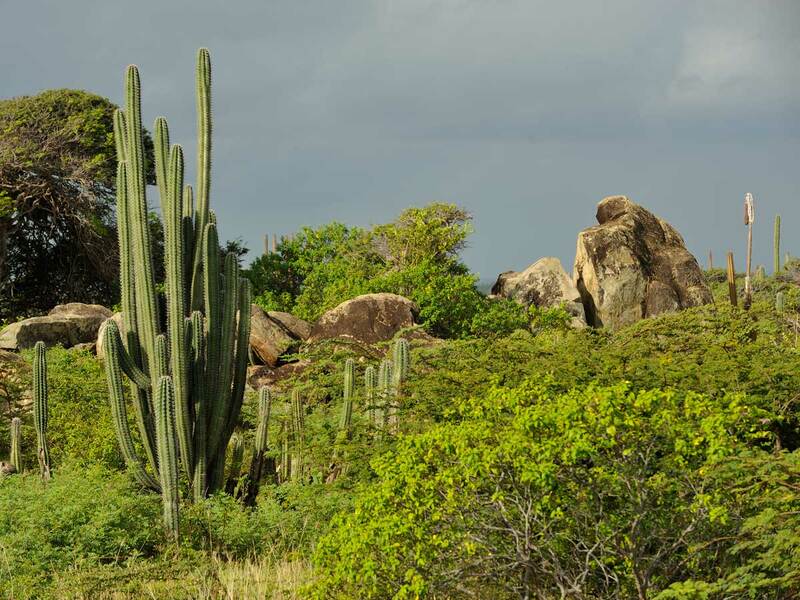 The island’s connection, via the continental shelf, to the South American mainland means that Aruba’s flora and fauna are quite different from her sister islands — Bonaire and Curaçao. Aruba’s stunning geological features include grottos, caves and giant rocks (tonalites) fashioned by the elements. Aruba is famous for long sandy beaches and strong trade winds, which make the island a paradise for beach lovers and windsurfers but a challenging environment for plants and animals. Coastal lagoons with mangrove forests and extensive and well-developed seagrass beds at the southern part of the island are a magnet for sea turtles, as well as an important base in the marine food chain.